Bearded dragons are usually gentle by nature and you rarely hear of an aggressive Bearded Dragon, especially towards humans. 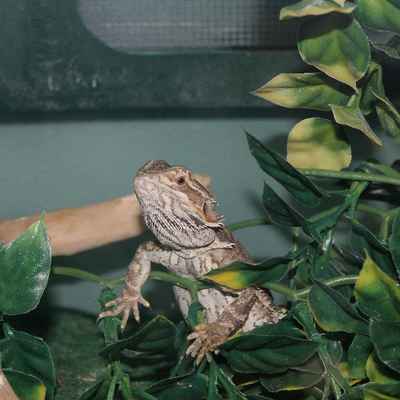 In fact, bearded dragons do not attack when threatened, instead they freeze, puff their throat, and may change colors. They are easy to maintain as well. On top of this they enjoy being handled and stroked by people. They may squirm the first few times you hold them, but they will eventually recognize their master and will sit, relax, and perch on a person's body. The likely lifespan of a Bearded Dragon that is kept healthy and is watched closely by their owner is 8-12 years.